Jay Thompson signs on to Team Strong Heart Forever 4 person team! Welcome Jay! You are a tremendous asset to the team! Many of you already know Jay as the friendly force behind the cycling group at Trailhead and as a monster in the pack...but never lets anyone drop off the back and ride alone. He is a "Strong Heart"! My wife Mary and I live in Maple Grove, MN with our three children: Katie 14, Jenna 12, and Luke 10. What got you started in athletic endurance events and what attracts you to RAAM? In the mid 80's the phenomenon of the mountain bike first got me into cycling, at the same time Greg LeMonde's success in Europe and his victories at the Tour de France peaked my interest in the sport, I have been hooked ever since. In 1992 I joined a local racing team, the Loon State Cyclists. My involvement as a racer has been limited, and I more accurately describe myself as a club rider. I have thoroughly enjoyed the challenge of riding and training with such a dedicated group. After years of riding with the Loon State Cyclists I feel I have developed the skills required to be a valuable member of Team Strong Heart Forever. 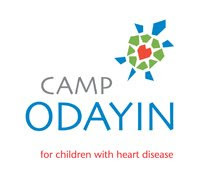 Why are you interested in raising funds and awareness for Camp Odayin? The dedication and commitment of the founding Team Strong Heart members was very inspirational. For Bernie Kaeferlein to spawn the idea and make it a reality was truly awesome. To have the opportunity to carry Bernie's vision forward and to accept this challenge with such great friends & teammates as Amy, Melinda, and John is a privilege. Go Team Strong Heart Forever! Faith, Forgiveness, Loving kindness, Compassion. It is that simple. John Rotach signs on to TSH Forever 4 person team! John Rotach just signed on to the Team Strong Heart Forever mission and compete in the 2008 Race Across America! Welcome aboard John! John and Holly were HUGE supporters of Team Strong Heart's 2007 4 person RAAM team as well. My wife told me to. Seriously. A friend told me, “If your wife says, ‘Do it,’ well, then you do it!” I wanted to find a challenging event for next summer. 24 hr mountain bike solo, Leadville 100, Ironman Triathlon, etc… And then this opportunity came along. It’ll be a great adventure with some great people. First to finish - healthy and safe. This is such an unknown you HAVE to say your first attempt is to just finish. I’ve ridden at night enough to know weird stuff just happens. After that, I’d like to finish strong. If I’m riding well and am happy in the final days it’ll be a success. I think a team goal is to have the team happy with their performances, feeling like they gave what they had. I first heard about this camp a couple years ago during a presentation at work. Medtronic has a strong tie to this camp as a lot of the kids have our devices. It really struck me as a magical place. During the presentation I had one of those moments where you really step back and remember how lucky and fortunate you are. To never have gone to a summer camp because you or your parents were afraid you’d have a problem and be miles from a hospital. This camp allows these kids to forget they’re different and just be kids. Doing RAAM…spending that kind of money, that much time, crew, volunteers, organization, resources…just to ride a bike. It can seem a little silly. If what we’re doing can help Camp Odayin with their mission, help just a couple kids, it’ll be worthwhile. Check out John's training journal by clicking on: http://www.johnrotachtsh.blogspot.com/ or from the sidebar. There are several ways that you can help make the Team Strong Heart mission for Camp Odayin a success. TSH is asking for your support through fund raising and sponsorship. Individual donations made by family, friends, and colleges of TSH members make up the majority of our fund raising goal. Corporate sponsorship in the form of funding and in-kind services play a large role toward reaching our goal and proceeds from sales of TSH team clothing (jerseys, shorts, socks, & tee-shirts) along with raffle tickets also help make the TSH mission possible. We are very grateful for the support we have received so far. If you are still considering supporting the Team Strong Heart mission, see below for a quick list of ways to do so. Individual Cash Donations - (Online or Mail-in) Cash donations are tax deductible and collected by the Silent Sports Foundation. SSF is a 501(c)(3) non-profit organization EIN#. Donations to Silent Sports Foundation can be made online (credit cards accepted) by clicking the donate button below. Donations are also being collected personally by TSH members OR donations can be mailed to: Silent Sports Foundation - Team Strong Heart - P.O. Box 2827, Minneapolis, MN 55402. Corporate Sponsorship - if the Team Strong Heart mission fits the criteria for your company's charitable giving program we would like to here from you. TSH would be happy to answer any questions you have regarding our mission. Click here to contact us. Team clothing is available in the Team Strong Store (coming soon!). TSH jerseys, shorts, socks, and tee-shirts are available for purchase. All items can be purchased online! Thank you for helping us make the Team Strong Heart mission for Camp Odayin a reality!